HAVE A GREAT HOLIDAYS AND HAPPY NEW YEAR EVERYONE. In Toronto you can find my pottery at Queens Park in the gift shop just at the main entrance. 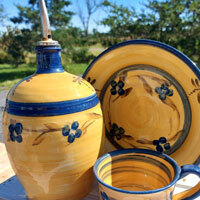 You can also find my pottery at the FROM HERE TO INFINITY store on Main St. in Brockville. 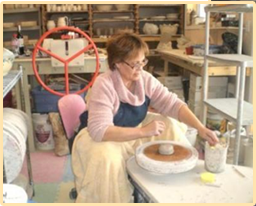 I fell in love with pottery early in my life and I continue to learn and be inspired through my work. 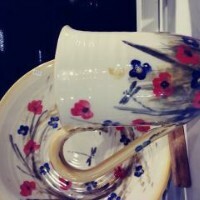 My stoneware is functional and decorative Each piece is painted free-hand. It is an everyday pottery that can go into the dishwasher and microwave. 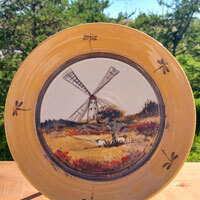 I have made various collections through the years and my work shows my Provencal background. This year, my first collection is MONACO with yellow and blue colors. My second collection is VENICE with white and blue colors. My third collection is POPPIES that you will find very colorful with the little poppies.